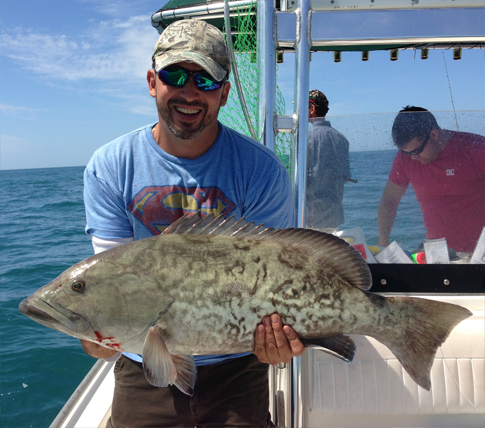 Tampa Bay and the open Gulf offshore from the Bay area are loaded with Gag Grouper. Without a doubt gag Grouper is top among favorites for Floridians to eat. They are easy to trick into biting, pull really hard and are great to eat. They are generally caught on the bottom and range from 2 pounds to 60 pounds; larger ones have been caught. Keeper Gag Grouper have to measure 22 inches which is about 5 pounds of fish.